Take a look at this poster for Black Panther and try telling me it’s not confusing. Well-known superheroes such as Wonder Woman, Batman, Superman, Spiderman, The Hulk along with supergroups such as The Avengers and The X-Men, have been at the forefront of popular culture for decades. Yet despite being around for over 60 years, there is a not a lot we know about the world of Black Panther. The first black superhero in American mainstream comicbooks debuted in Fantastic Four back in 1966 before going to be part of what has been heralded as Marvels first graphic novel. Modern audiences were introduced to Black Panther on screen in Captain America Civil War in an epic chase as he attempts to apprehend James “Bucky” Barnes whom he believes is responsible for a blast that killed his father King T’Chaka of Wakanda. You can expect to see a lot more of the character as the actor portraying him Chadwick Boseman (42, Get On Up) has signed on for a total of five films, and with the two mentioned, that leaves another three to go, presumably including at least one Avengers title. I enjoyed this film, but found the story incredibly complicated. In a nutshell, we start back in 1992 with an operation to catch a spy who has been accused of stealing Vibranium from Wakanda to arm insurgents. I’m still not sure who the players in this opening scene were. 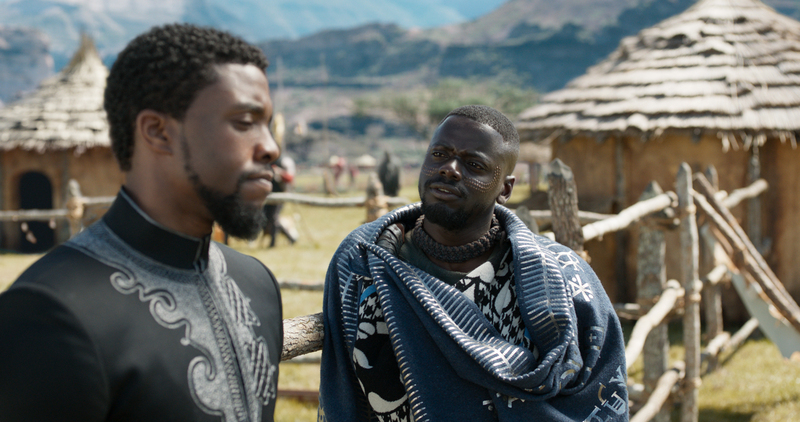 We cut back to the present day and fictional African nation Wakanda needs a new king and there are challengers for the title. Also Andy Serkis is playing a bad guy with an ugly prosthetic limb who is masterminding a vibranium heist with the help of Michael B. Jordan as Erik “Killmonger” Stevens. 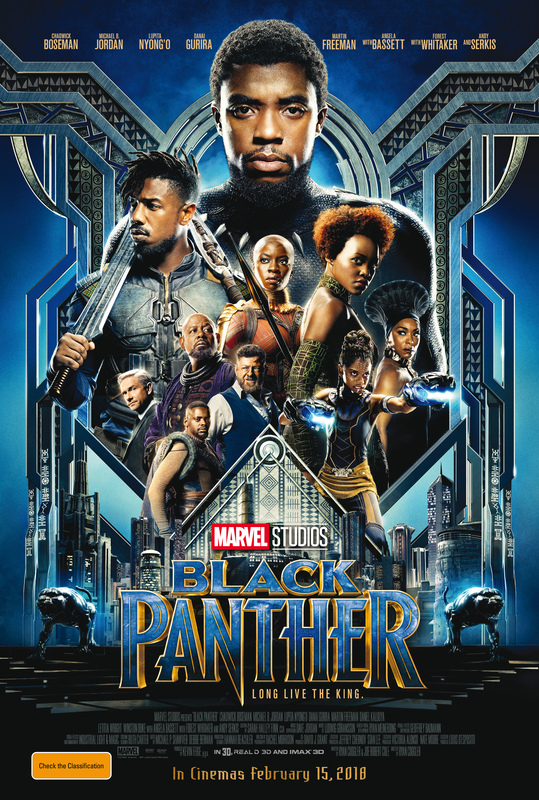 The film is awash with excellent performances, including a standout coming from one of youngest cast members – Letitia Wright as Shuri: T’Challa’s 16 year old sister and the princess of Wakanda who designs new technology for the country. It is being hailed as a breakthrough piece of cinema for the positive portrayal of African American characters but it might take a second viewing for me to allow all the pieces of the puzzle to fall into place. I’m also interested in how this will do in Australia given our African population is tiny in comparison to the United States where the film is expected to smash box office records. In America over 10% of the population are of African heritage, representing over 40 million people. Whilst in Australia less than 2% of our population identifies as coming from African ancestry, delivering a figure of less than half a million people.